The act of giving a truly meaningful gift to show the significance and importance of your relationship with others can be a tricky balance. What does gifting done right look like? Today’s returning guest is back with some wisdom on how to show appreciation and love through gifting. John Ruhlin is the Founder of the Ruhlin Group, where he helps companies develop VIP gifting programs. He is also the author of Giftology. He is an expert on the topic of meaningful gift giving. What do you give someone who has everything? How can you give a gift that makes a real difference in someone’s life? It all started when John met a very generous man. He’d often buy half of the raffle tickets at school auctions, win, and then donate it all back because he loved making people smile. John says that, still, the biggest gift that works well is gifting knives. Why? Because it’s difficult to gift an item that successful people can already buy. However, if you can take care of their inner circle; like their spouse, the kids, pets, and the family, that’s when you make the biggest impact. John likes to gift custom inscribed knives to each family member that by the time dinner rolls around, everyone is fighting over knives! People are still humans at the end of the day and being able to connect one and one with them is what makes a big difference in the quality of a relationship. Did you enjoy today’s episode? If so, then head over to iTunes and leave a review. Help other business leaders discover the Scaling Up Business Podcast so they, too, can benefit from the ideas shared in these podcasts. 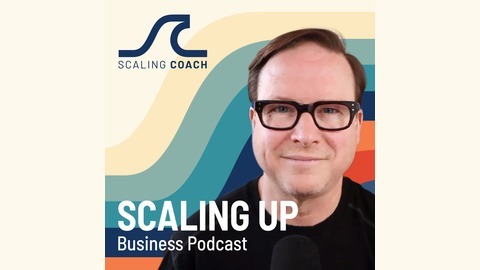 Scaling Up is the best-selling book by Verne Harnish and our team for Gazelles Coaching, on how the fastest growing companies succeed where so many others fail. 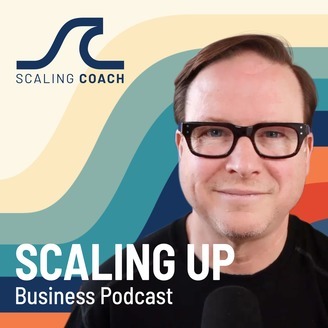 My name is Bill Gallagher, host of the Scaling Up Business Podcast and a leading Gazelles Coach. Gazelles is the term we use for fast-growing companies. We help leadership teams with 4 Decisions around People, Strategy, Execution, and Cash so that they can Scale Up successfully and beat the odds of business growth success. Scaling Up for Gazelles companies is based on the Rockefeller Habits 2.0 (from Verne’s original best-selling business book, Mastering the Rockefeller Habits).